Have a look at the orangeries case study video above to find out all about the various features and benefits of shopping for a beautiful orangery with us at here Ultraframe UK. Considered the exact middle ground between our Ultraframe conservatories and full house extensions, orangeries allow plenty of natural light to enter your home. They help brighten up your home by being constructed with the perfect blend of bricked sections and double glazed glass panels. This, in turn, gives orangeries a sophisticated and stylish finish suitable for any home. In addition, orangeries offer brilliant thermal efficiency for homeowners across the country, thanks to Ultraframe’s high quality double glazing. Partner this with the well insulated and robust brick areas, and our orangeries will remain toasty even through the coldest of winter months. 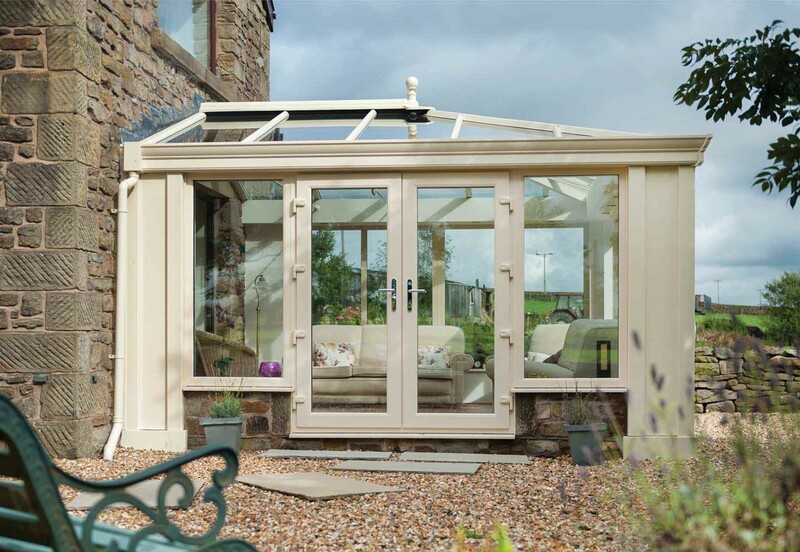 Our orangery range is available in an array of different styles to suit your taste, meaning we’re sure there’s something you’ll like, whether you’re looking to make the extension into a garden room, a social space or even a kitchen-diner. We here at Ultraframe UK are the market leaders in the supply of orangeries and other home renovations across the country. We bring over three decades of experience to our manufacturing and have seen over two million of our roofs installed across the UK. If you’re interested in having your own orangery installed and would like to find your nearest approved Which? Ultra Installer, you can use our online search engine to explore your options.